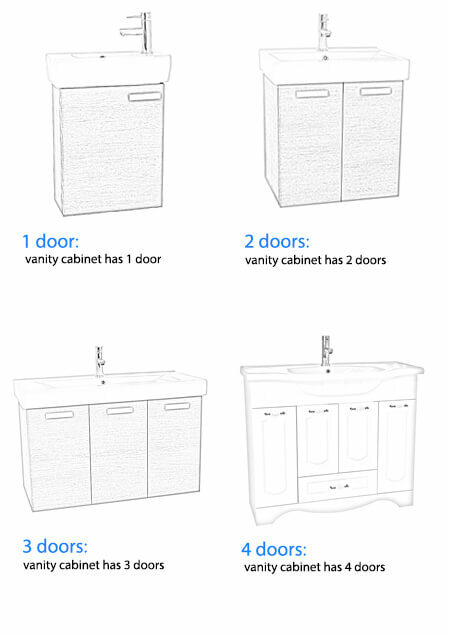 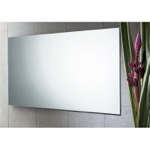 Is there a matching tall cabinet for towels,wash cloths and other bathroom Items? 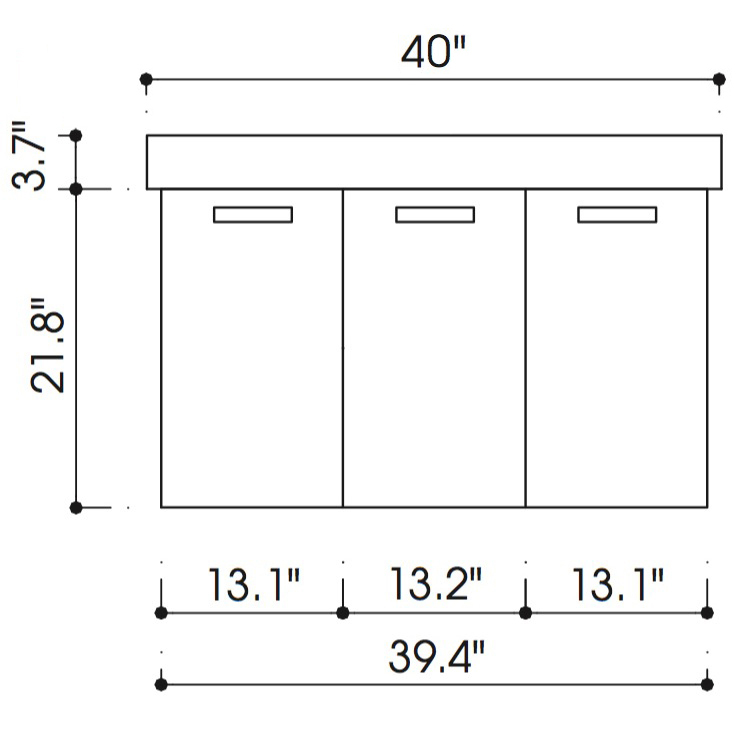 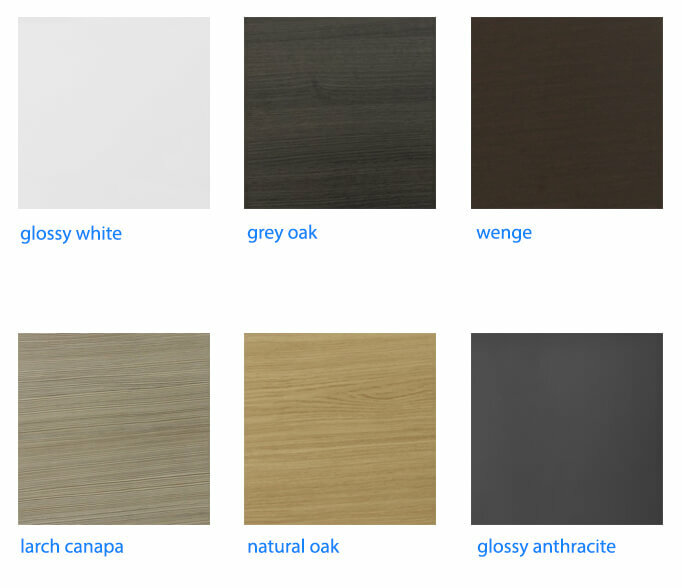 Yes, the matching storage cabinet in the Cubical collection is the ACF C121. 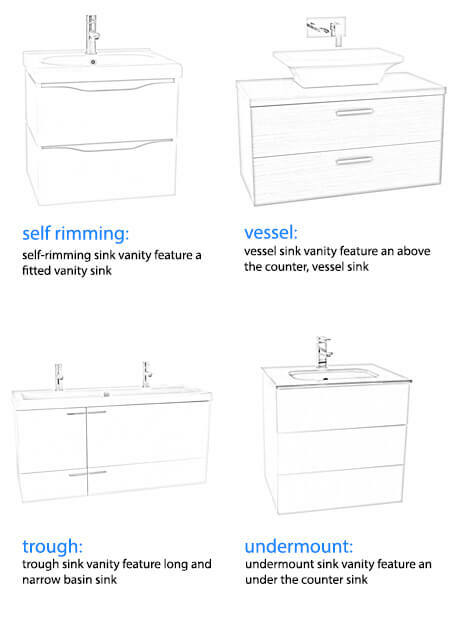 Are there other faucets compatible with this sink? 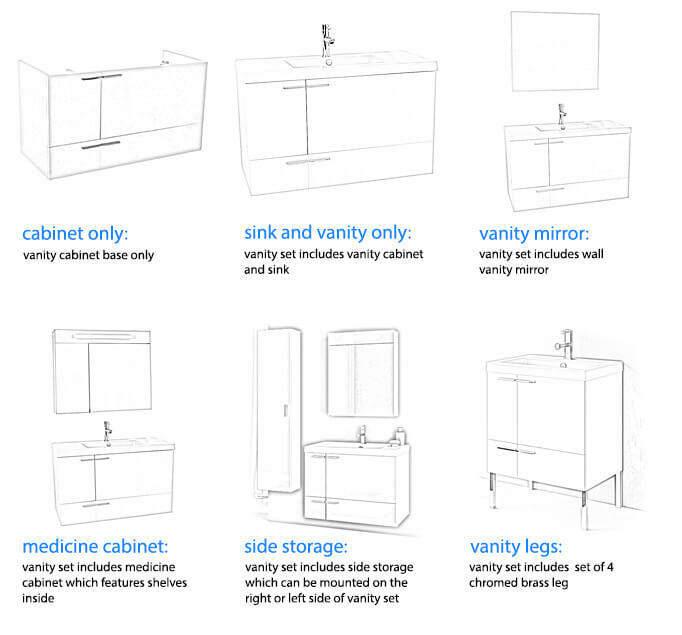 I don't love the one recommended, but I don't want to order one that doesn't fit the sink. 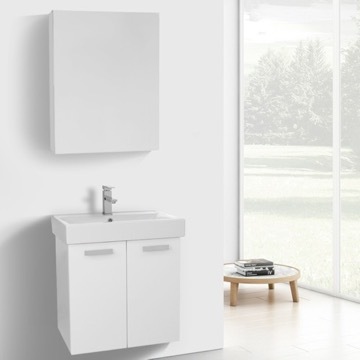 Any standard faucet will work with this sink. 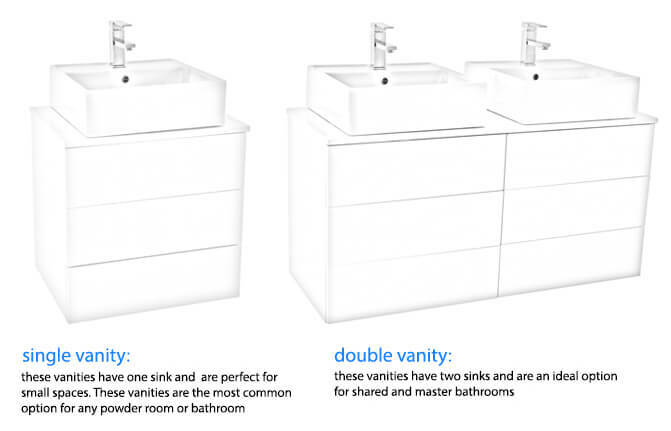 The faucet hole is pre-drilled to standard US faucet holes, so you can certainly pick any standard sized faucet fixture that fits your style. 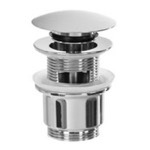 Instead of a single-hole faucet, can we do a three hole one, with center spout and hot and cold handles? 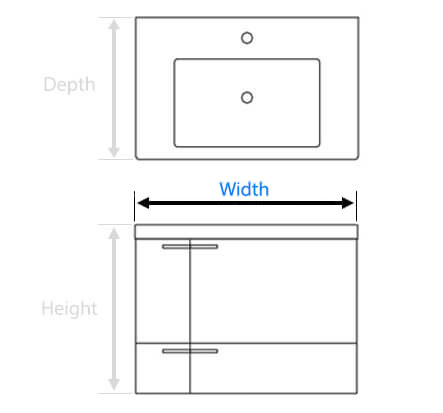 This standard sink as shown is pre-drilled for a one hole faucet. 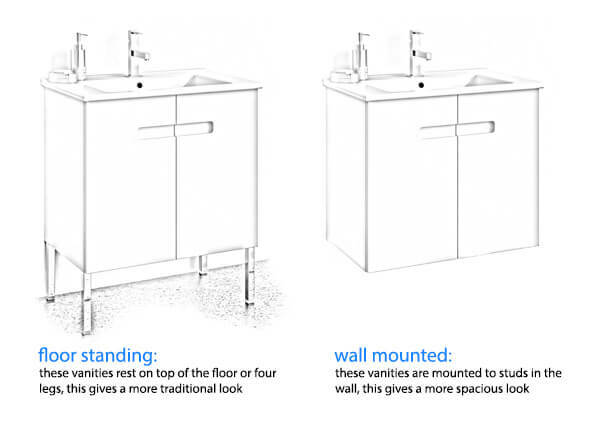 However, if you would wish to purchase a no hole or three faucet option for this sink, please contact our customer service representatives directly and we can assist with customizing your order. 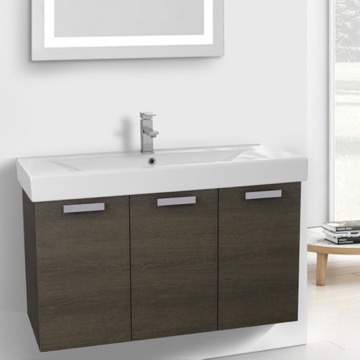 Does this vanity have to be wall mounted? 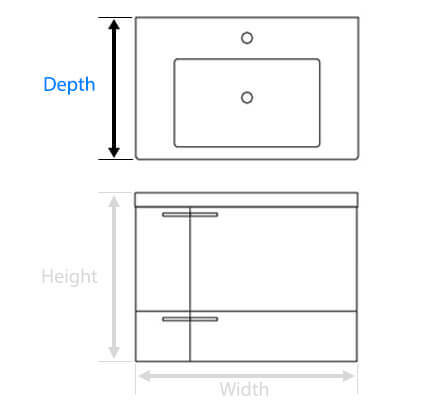 Can I mix-match sink tops with bases of the same size? 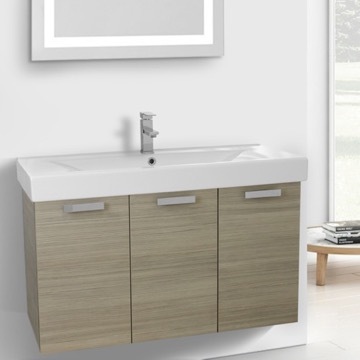 Specifically, I need this vanity base (ACF-C16) but like the sink for ACF-ANS15. 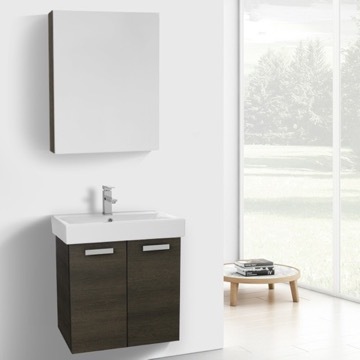 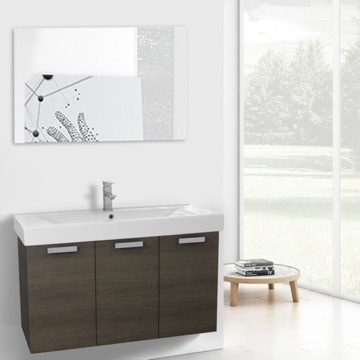 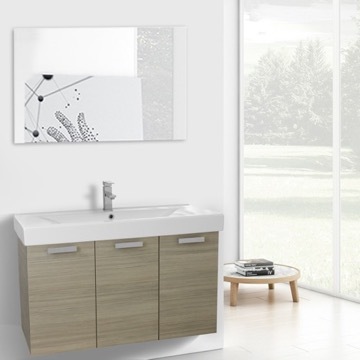 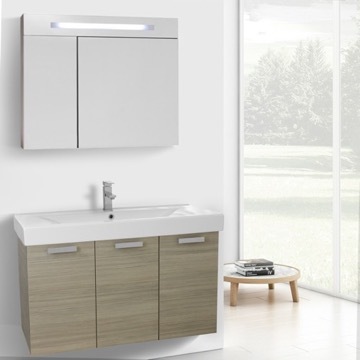 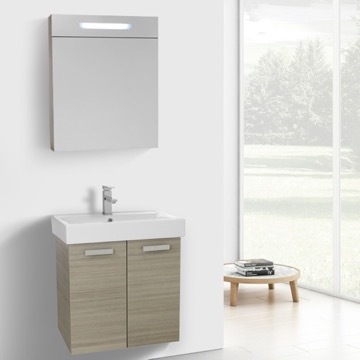 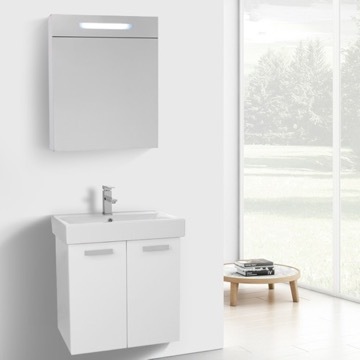 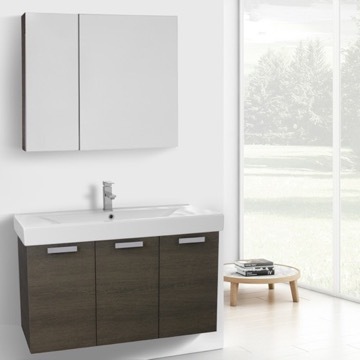 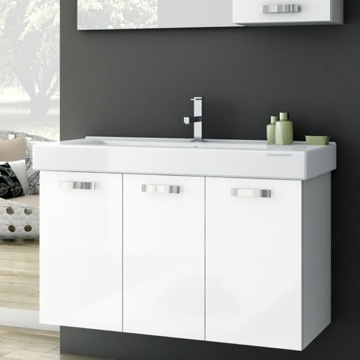 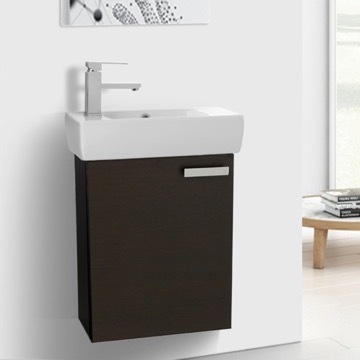 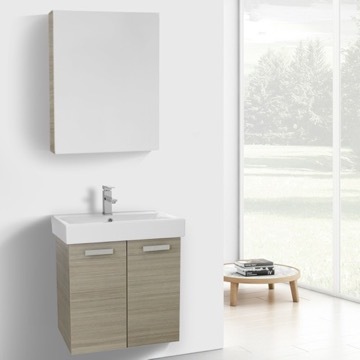 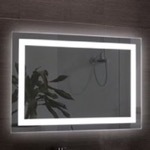 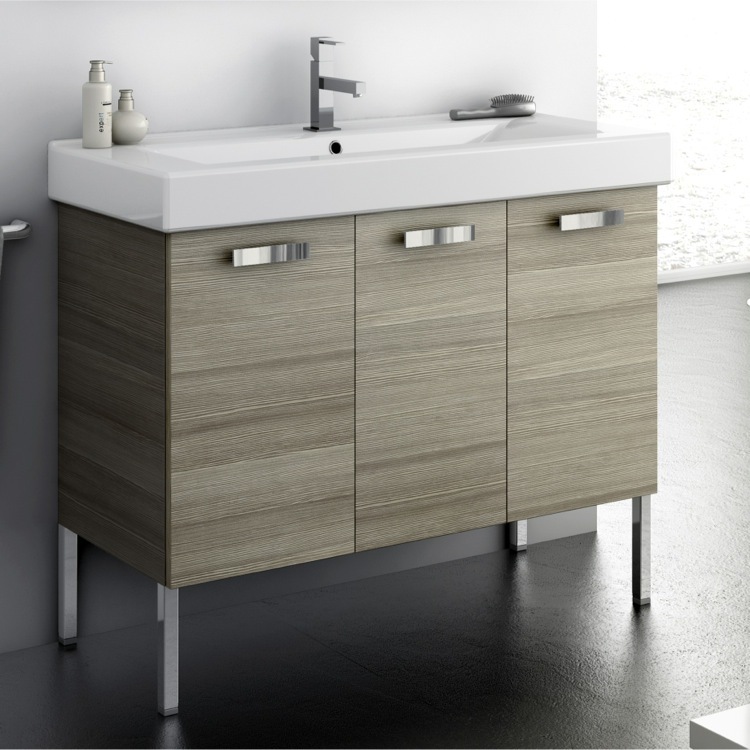 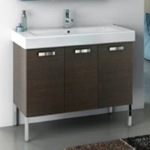 There is another option sink for this vanity, it is the GSI-752311.